Weld Positioners are vertically mounted Rotary Index Tables designed for the unique purpose of creating a plane of rotation perpendicular to the floor. With this system, large sets of tooling can be mounted to simple box frames and rotated above the floor. This allows for multiple sets of tooling to be in place on a single frame (one set for each side), and turned in precise increments for use. Where a process may have previously required multiple stations, a weld positioner can place all the necessary tooling in one place, saving significant amounts of floor space. 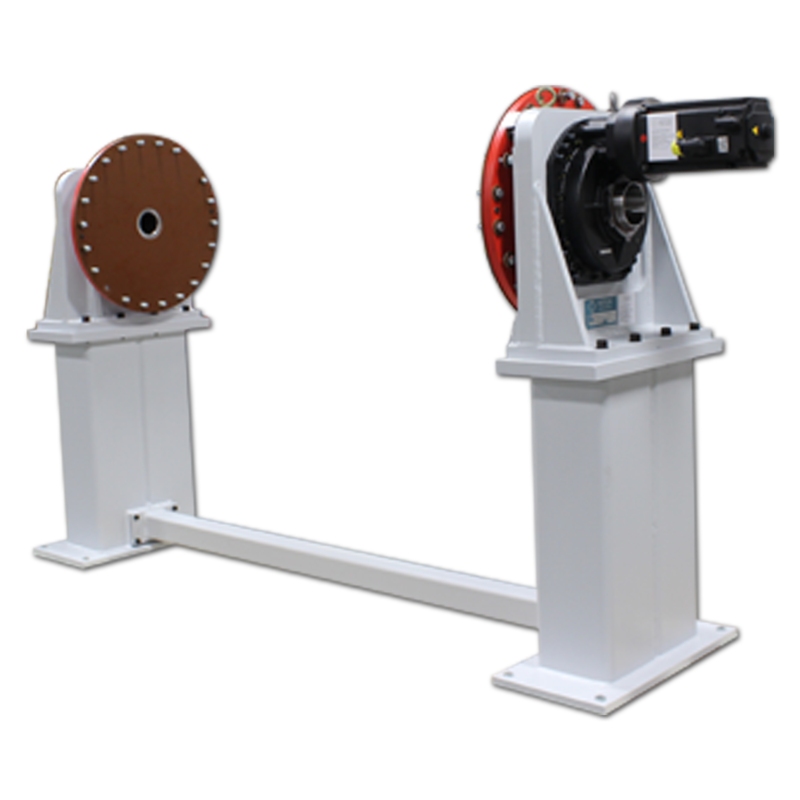 A properly designed, well balanced weld positioner system is capable of moving significant weights at remarkable speeds. Since inertia in a weld positioner system configuration is exponentially dependent upon system balance, a properly engineered system is necessary for an efficient end product. Weld Positioners can be applied to any number of applications, but they are most commonly used for mounting welding equipment, rotary positioning and the mounting and rotation of parts for assembly purposes. 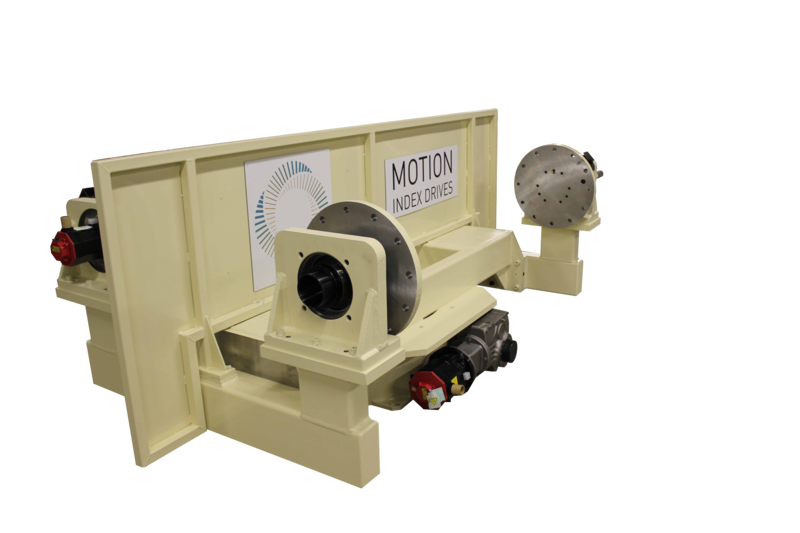 The same custom design elements that can be applied to Motion Index Drives' RT Series can be applied to the indexer used in a weld positioner configuration. Options such as special coatings; continuous, oscillating or flexible modes of operation; custom index times and dwell periods; as well as reinforced cam followers for increased static torque capacities are available. 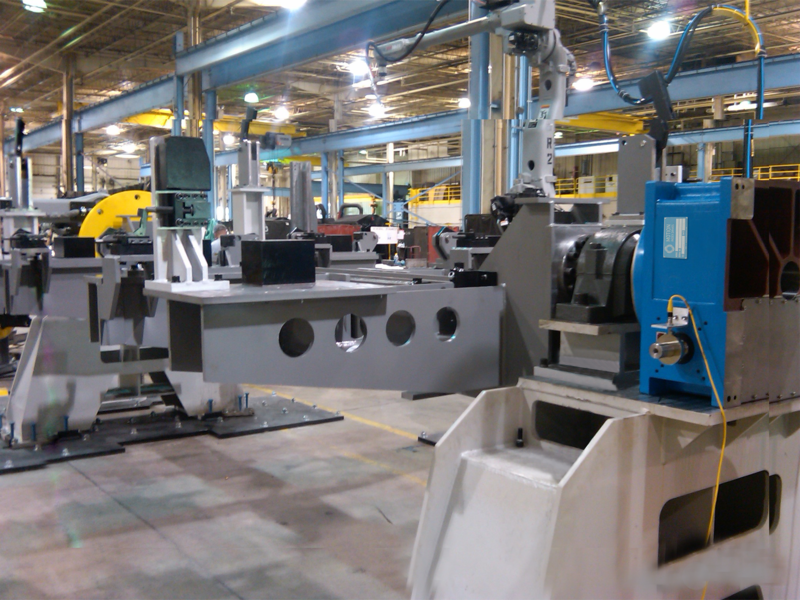 Our robotic weld positioning systems are utilized in industries ranging from aerospace, heavy construction vehicles, tanker manufacturing, steel industries, passenger train manufacturing, to automobile manufacturing. Several benefits have already been outlined, such as the saved floor space and potential for managed high load capacities in a well engineered system. In addition to these, manufacturing costs of a weld positioning system tend to be lower than a standard configuration rotary table. In a properly balanced system, weld positioners can allow for drives and frames to be sized down when compared to standard configuration counterparts. 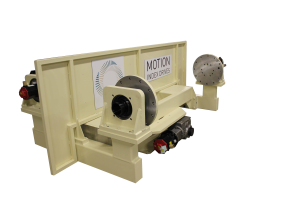 As an added note, trunnion drives offer significantly higher accessibility for maintenance purposes, giving owners and operators the opportunity to perform easier maintenance checks and potentially extend the life of the indexer.